Do you want to find the best Highbury house clearance company? 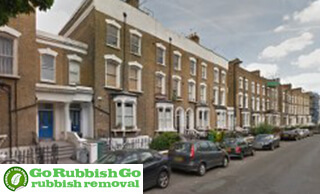 Book with Go Rubbish Go now and you can get a clutter-free home whenever you need it! 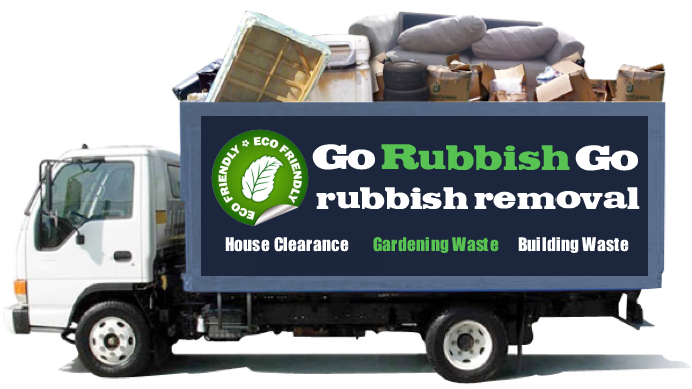 We collect and dispose of all types of waste, unwanted goods and rubbish. We’ll come to your property at a time that suits you, and we’ll work quickly and effectively to make sure your home has never looked better. Whether you want to clear your attic for renovations, or if you’re moving to a new home, we’ll handle the hard work to save you time and hassle. Enjoy the professional N5 house clearance service that you deserve and say goodbye to waste, junk and rubbish. Call us today and book by dialling 020 8610 9182 now! Let us save you money on your Highbury house clearance! 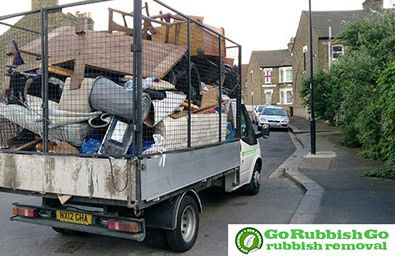 By hiring us you can enjoy a complete service that includes both the collection of rubbish and its disposal, so there’s no need for you to pay for a van or a skip! All of our prices are cheap, we have competitive rates that you won’t find anywhere else. Getting a bargain doesn’t mean you need to compromise – you can still get the high-quality N5 house clearance that you need and still save money! We have lots of perks to offer, including no hidden fees or costs, and our amazing money-back guarantee. Get a free price quote now by giving us a call today! Our House Clearance Company in Highbury Is the Best Choice For Your Property! Why waste your time with an unprofessional company when you can have the help of our specialists? We have fully-vetted, friendly and committed teams with years of experience, meaning we know the best tips and tricks for a speedy and flawless house clearance in Highbury. We also use high-quality equipment to make sure every scrap of rubbish is collected from your home, leaving nothing behind! We offer 100% guaranteed services that won’t disappoint, and no matter what you’re looking for from your N5 house clearance company, we’re here to provide for you! Let us take away the stress of the job. Pick up the phone now and make your booking on 020 8610 9182! Choose a Highbury house clearance company that’s dedicated to providing greener services! We excel when it comes to helping our customers with eco-friendly assistance. We go out of our way to make sure we recycle whatever goods we can, and anything that can’t be recycled is always disposed of properly and safely. Every vehicle that we use for our N5 house clearance jobs is as low-emission as possible, and we try to spend as little time on the road as we can to cut our carbon footprint. 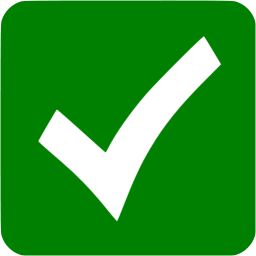 Care for the planet by making sure your clearance in N1 is as environmentally-safe as our company is! Find out more by calling and make your booking right away! No matter how full your schedule might be, we’ll always find the time to provide you with your perfect house clearance in Highbury! We’re available to fit into the toughest of schedules thanks to our highly flexible teams, with evening, weekend and Bank Holiday bookings always available. Even if you have an emergency that needs tending to, we have same-day services for you to hire when you need them most. When it comes to your N5 house clearance we won’t be beaten, offering professional care and working swiftly and efficiently to deliver nothing but the best. Don’t interrupt your work week to find your clearance service in N1– call us on 020 8610 9182 and let us fit around you! 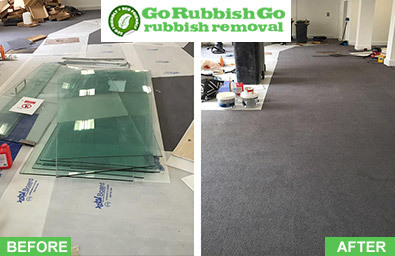 Get an amazingly clear property without getting your hands dirty – call Go Rubbish Go today and say goodbye to the rubbish in your home. We’ll get rid of any rubbish that you don’t want taking up room in your property, with a N5 house clearance service 100% guaranteed to impress. From our cheap prices to our friendly and talented experts, there’s no need for you to worry if you hire us. You’ll soon get the property of your dreams without any of the hard work! From your garage to your garden, there’s nothing a Highbury house clearance team from us can’t achieve. Speak to an expert now to make your appointment for a clutter-free home today – dial 020 8610 9182 now! Situated in the heart of the Borough of Islington, Highbury is a large residential area in North London. The name of the district comes from the Highbury Manor once owned by the Knights Hospitallers which stood here from 1271 till 1381, when it was destroyed in the Peasants’ Revolt. Highbury House was built in 1781, converted into a school in 1894 and demolished in 1938, and today Eton House flats stand on its site. The Arsenal Stadium was the home ground of Arsenal F.C. from 1913 till 2006, when the club moved to the new Emirates Stadium in neighbouring Islington and the old stadium was redeveloped into flats to answer the area’s growing demand for housing. Several tube and rail stations provide good city connections to and from Highbury.